All listed rates for web editing are exclusive 21% VAT and travel expenses. Our Care Card remains valid for one year after purchase. All listed rates for web mainetance are exclusive 21% VAT and travel expenses. 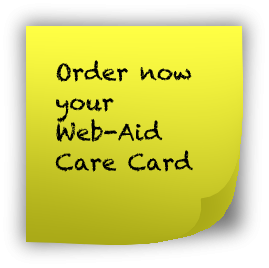 Our Web-Aid Annual Maintenance Contract remains valid for 12 months after purchase. Order now! If you would like to receive a quotation please contact us via e-mail or by phone: + 31 (0) 6 100 90 443. Would you like to have a multi language website?